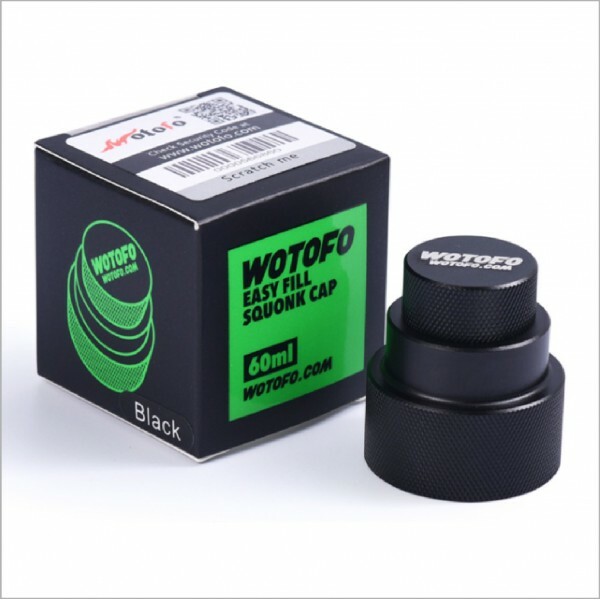 This Easy Fill Squonk Cap is designed and manufactured by Wotofo. For vapers who are into squonker mods, this is a very thoughtful tool to cut the hassle when refilling your squonk bottle. 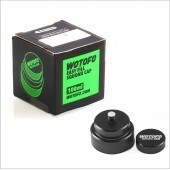 With this little cap, you just leave the squonk bottle in place and refill through the 510 connector. 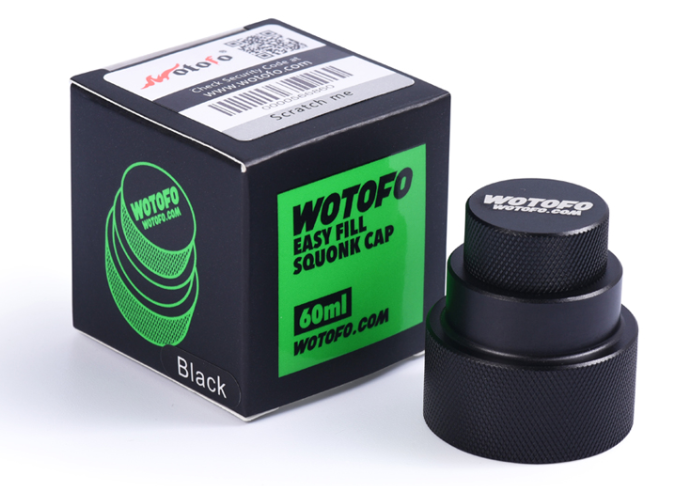 The squonk refill cap mainly consists of two parts, the lid to keep the tool clean and the cap body that fits onto 60ml juice bottles, both made from food grade aluminum to give a light but solid quality design. 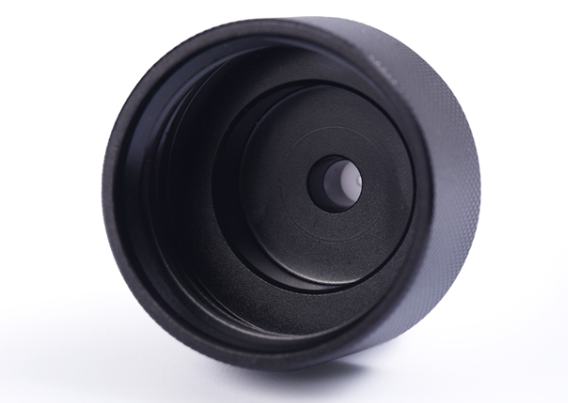 There is no need to worry about leakage problem as we eliminate leakage with carefully inserted silicone seals, which also act as insulators to keep from any tiny possible shorts. 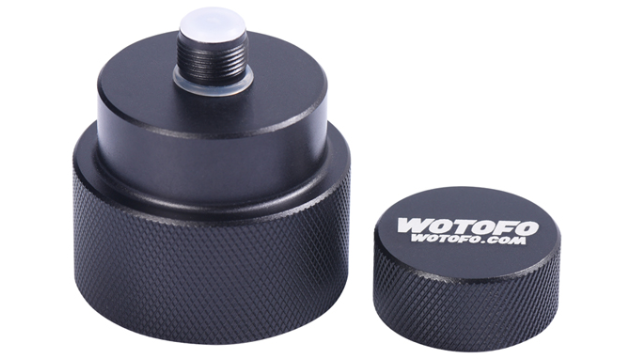 The bottom part of the cap and the lid both feature knurling design to give a better grip. Once the cap is screwed onto your juice bottle, you can put the original cap away, because this cap can serve as the regular cap or the squonk refill cap at the same time.